Do you know anything about a chemical called Bisphenol A (BPA)? BPA is an organic synthetic compound used in the production of items such as DVDs, CDs, bottles for drinking water and baby food, thermal paper for printers, gaskets in most food cans, polycarbonate plastics, composite materials for dentistry and much another. Is the household use of this substance harmless like some other types of plastics for human health? BPA has been used in the manufacture of polycarbonate and resins for over 50 years. But only in the last 10 years, the topic of the influence of such chemical compounds on human health has attracted close attention of scientists. The hundreds of animal experiments conducted over the years indicate potential health risks ranging from exposure to female and male reproductive organs to newborn children. This also includes disorders in the development of the brain, breast, uterus and prostate gland. The results of many animal studies have linked the effects of chemicals on reproductive disorders, including infertility, feminization of male organs in embryos, and early puberty in women. As a synthetic hormone, BPA mimics estrogen. The chemical family of phthalates from plastics is also in the top of the list of studied problems. Like BPA, phthalates are endocrine disrupters, chemicals that can enter the body through food and personal care products and interfere with the hormones that the body itself produces. Phthalates inhibit androgens and affect men more often than women. Manufacturers add substances to a wide range of products, from toys to cosmetic products and items of medical equipment. Most people living in industrialized countries are exposed to BPA. BPA has been proven to inhibit normal development in animals and is associated with cardiovascular diseases and diabetes in humans. In different countries, the response to a potential threat of BPA to human health is not equally adequate. Canada is the first country to declare BPA a hazardous substance at the state level in 2008 and has banned its use in the manufacture of baby food bottles. After the results of a 2009 study on the prospects and measures to protect the environment were published in Denmark, Copenhagen prohibited the use of coolers with polycarbonate bottles in urban public buildings. New York was the first American city to prohibit the sale of children’s products, the packaging of which contains BPA. In 2006, San Francisco banned the use of baby food packaging containing BPA, but it was immediately abolished. In 2018, similar bans were adopted by the states of Connecticut and Minnesota and the city of Chicago. In the US Congress, a draft law is pending. In fairness, it should be noted that in January 2010, after the publication of the results of large-scale research by scientists in this field, the FDA canceled its opinion about BPA, and acknowledged that there are problems with risks to human health and stopped issuing any rules, citing an outdated regulatory framework. It is expected that another decision will follow shortly, which may reflect a position similar to that of Canada. And now about the main thing! A group of scientists from the Harvard University School of Public Health (HSPH) conducted a study on the effects of Bisphenol A on women’s health in general, and on their reproductive function in particular, and found that the risk of premature birth for women who have been exposed to BPA for a long time through the use of various plastic products containing this chemical, for example, through plastic bottles of drinking water, increased six times! This data is also confirmed by the specialized medical portal WebMD, according to which more than 90% of the people living today have BPA to some extent present in the body. Most of this compound people get by consuming food stored in containers made using BPA. In addition, the compound can also enter the body through air, dust and water. 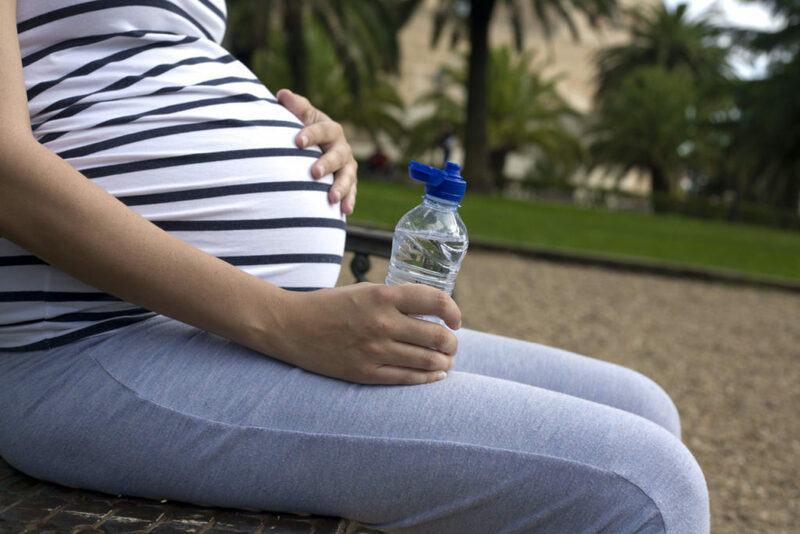 So, since scientists have already identified a stable association of BPA with preterm labor in pregnant women, the task of recent studies was to determine whether the BPA can affect a woman’s body before she becomes pregnant. In the experiment conducted on the basis of the clinic of reproductive medicine, 364 were involved, including 32 women who gave birth to premature babies. Experts analyzed the composition of the urine of women before pregnancy. At the same time, a team led by Karin Michels, an associate professor of gynecology, obstetrics and reproductive biology at Harvard Medical School, examined 77 students at Harvard College for two weeks. The students drank cold drinks from bottles made of stainless steel for one week, and the next week from bottles made of polycarbonate. Urine samples showed a 69% increase in the level of BPA in students who used plastic bottles during the second week. In addition to the risk of premature labor associated with BPA, researchers identified other chemicals called phthalates, which were found in food packaging and had a similar effect. Doctors have determined that this chemical doubles the risk of premature birth in women with high levels of it before pregnancy. Previous studies have confirmed that BPA can accumulate in the reproductive organs and act as an endocrine disrupter that removes hormones from an equilibrium balance. The compound can cause problems before, during, and after the formation of eggs, and in some cases can even cause female infertility.